Next to preparing for the logistics, tour operator, driver, accommodation, travel etc. etc. 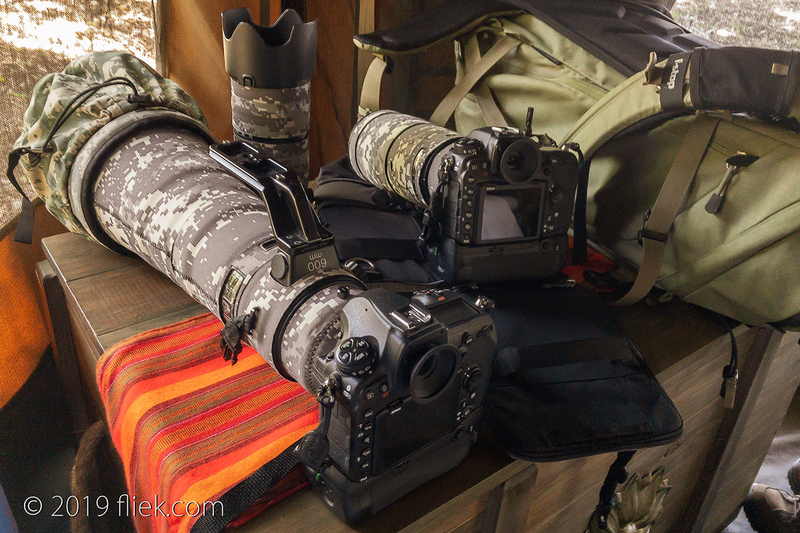 there is this small detail around gear as well you may need to pay some attention to… preferably well-before your departure to your (hopefully not-) once in a lifetime safari adventure! There’s so much to go through in terms of all the important items: the right bag for your camera & lenses, comfortable clothes, a useful hat to protect you from the scorching sun right on top of you during noon, shoes, and the list goes on. In fact, I’ll save this for a next article and will just focus on my camera gear in this article. In the Mara you’ll find all sorts of critters, ranging from small and far away to humongous and pretty near… And if your goal is to take stunning images of all, you’ll need to figure out the tricky balance between hauling loads of cameras and (prime) lenses for those high-quality images vs. the more lightweight and versatile zoom lenses albeit with (usually) reduced IQ and light sensitivity (f/5.6 and up). Nikon’s flagship full frame D850 attached to another flagship: the 600mm f/4E FL super telephoto prime lens. This combo will give you the pixels you need in case you need to crop (cursed by many photographers but so very useful when you really need it) and the very best IQ you can ever wish for. Nikon’s second best flagship/crop frame D500 attached to Nikon’s strangely economic yet even more amazing 200-500mm f/5.6 zoom lens, giving you an effective 300-750mm to play with (next to the ‘fixed’ 600mm main combo). And if all that fails, I’ll put on (I believe still) the world’s very best 70-200mm f/2.8E zoom lens out there, just in case I need f/2.8 or when 300mm is too much and I cannot have more than an effective 100mm for a shot (e.g. lion/giraffe/elephant at close distance). On the 4th day of our safari trip we came across this cheetah we had spotted earlier from a distance in the morning. We were slowly cruising around when suddenly it popped up right next to our land cruiser, not more than 15 meters away. 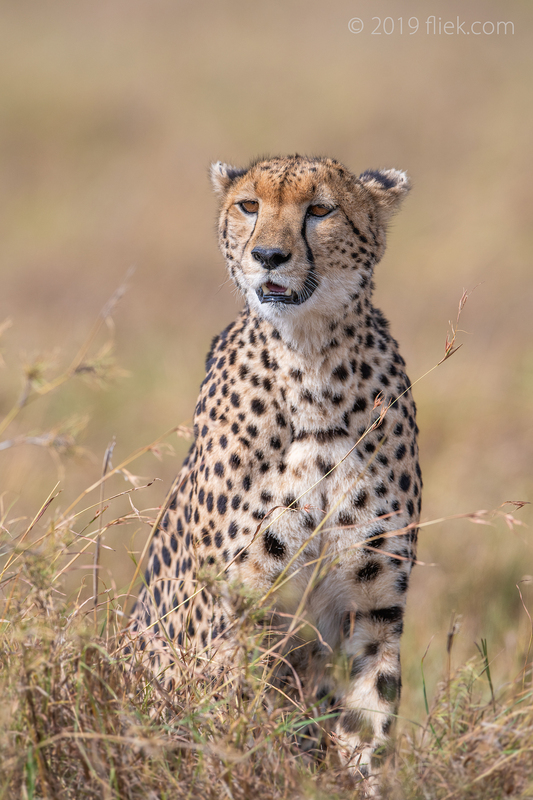 It was still quite early in the afternoon and the angle of the sun was definitely not ideal for shooting, but the closeness of the cheetah and the background made up for a nice combo nonetheless. Because we were so near I had to stop down to keep some depth of field (DoF). And as I shoot fully manual, I wanted/needed to have the right shutter speed that works well with the vibration reduction mechanism of the 600mm (avoid 1/000s! ), compensate the exposure for the bright afternoon light so not to loose the shadows, and aim for the lowest ISO sensitivity to get that super high dynamic range of the D850. Nikon 600mm f/4E FL on Nikon D850, f/5.6, 1/1600 s., ISO 220, +0.3EV exp. comp. The thing about nature photography is that you actually need to put all these parameters in your head, calculate the desired outcome, and try to get the best possible composition all at the same time, in a split second. It’s a strange but amazingly fascinating hobby/profession/fun thing to do! As I mentioned in my previous posts, I’m aiming to organize a safari trip this year for a small group of photography enthusiasts and share some of these experiences and best/personal photography practices. So if these stories and images strike a cord in the coming weeks… drop me a note at: enquiry@fliek.com and we’ll take it from there! (Many) more posts to come… Stay tuned!